Award winning global cuisine with roots in Syria and Egypt, including freshly baked bread, tabouleh, and kofte. Traditional and homemade Syrian food from the Gate of Gardens in Aleppo city. Sawda, Kebab Hindi, and vegan plates. Real Pakistani food using fresh ingredients and spices… Pakoras Pancakes, Pakistani Bouletten and Paratha Wraps. Berlin Homelessness Association – providing vital support to people on the street. 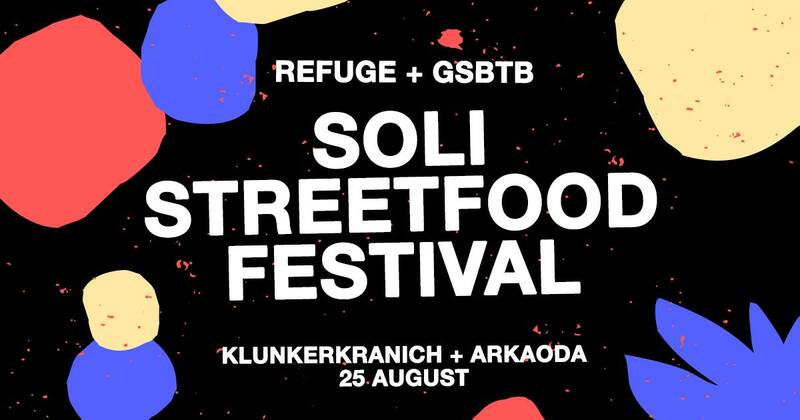 Soli Streetfood Festival celebrates the diverse cultures of Berlin through food and music. Each food vendor is given their stall for free and the money we raise from our entrance and donations will be given to charity.